The world often thinks of Africa as a single entity, rather than a hugely diverse continent made up of 54 very different countries. It's a common mistake to make, but this misconception often causes first-time visitors to ask what the weather's like in Africa, but the reality is, it's impossible to generalize the climate of an entire continent. Time your adventure wrong, and you could find yourself caught up in a cyclone during a beach holiday to Madagascar; or stranded by extreme flooding during a cultural trip to the remote valleys of Ethiopia. As with everywhere else in the world, African weather depends on a considerable number of factors and differs not only from country to country but from one region to the next. The African continent spans both hemispheres, so Morocco's High Atlas Mountains may experience heavy winter snows in the same month that visitors to South Africa are soaking up the summer sunshine on Cape Town's idyllic beaches. Africa's weather can also be relatively accurately categorized by region. North Africa has an arid desert climate, with high temperatures and very little precipitation (although temperatures in the mountains and the Sahara at nighttime can drop below freezing). Equatorial West and Central Africa have a monsoon climate defined by high temperatures, soaring humidity, and heavy seasonal rains. East Africa also has distinct dry and rainy seasons, while Southern Africa is generally more temperate. For many countries in Africa, seasons don't follow the same pattern that they do in Europe and the United States. Instead of spring, summer, fall, and winter, most countries south of the Sahara Desert have dry and rainy seasons. This is especially true for equatorial countries like Uganda, Rwanda, Kenya and the Democratic Republic of the Congo, where temperatures remain consistently hot all year round but the amount of precipitation changes dramatically. Kenya's weather is dictated by monsoon winds and the country's rainy season. Temperatures along the coast are generally the warmest. Kenya also experiences two rainy seasons: The longest typically lasts from April through June, and there is a second rainy season that occurs from November through December. December through March (what most people think of winter) is the hottest period in the country, whereas July through October is the coolest. Rwanda's high elevation creates a chilly climate for this equatorial country. Because of this, Rwanda experiences very little difference between seasons. The country's rain seasons span March through May and again October through November. The driest season is June through September, making this a prime time for gorilla trekking or other outdoor activities in the country. Namibia's climate is that of a hot desert: Not surprisingly, it's dry, sunny, and warm almost year-round. The country sees very little rainfall overall, but when it does rain, it takes place during the summer (December through March). Winter (June through August) sees cooler temperatures and less precipitation. Morocco, given its location in the Northern Hemisphere, has a seasonal pattern that is similar to other Northern Hemisphere countries. Winter, not surprisingly, is the coldest and wettest season and lasts from November through January. Summer is hot, therefore travel during the shoulder seasons of fall and spring is recommended. Temperatures during summer can often exceed 104 degrees Fahrenheit (40 degrees Celsius). South Africa is large and has a diverse climate, making it hard to classify. Unlike Africa's equatorial countries, South Africa does experience four distinct seasons, albeit reversed from what most Americans might be used to: Summer lasts from November through January, while winter spans June through August. Rain is usually abundant during the summer, except for Cape Town. Summer temperatures typically average around 82 degrees Fahrenheit (28 degrees Celsius), while winter temperatures hover around 64 degrees Fahrenheit (18 degrees Celsius), with some variation depending on the city. Uganda's climate is tropical and consistently warm, except for the mountains, which can get surprisingly cold. Daily high temperatures rarely exceed 84 degrees Fahrenheit (29 degrees Celsius), and rainy seasons span March to May and October through November. The rainy season is often better for birding enthusiasts and keen photographers—especially in West Africa, where dust-laden winds reduce visibility during the dry season. Many countries in Africa experience two rainy seasons: a major rainy season which takes place roughly from April through June, and a shorter rainy season from October through December. The rainy period of April through June is wet and humid, making coastal areas unpleasant. If you're hoping to save money on a safari, however, rainy season isn't a bad idea. Travel costs are cheaper, and there are fewer crowds. What to Pack: Rainy season in Africa isn't as intense as rainy season in southeast Asia, but it's still wise to pack accordingly. Bring bug repellant, light raingear, easy-dry clothes, and appropriate rain footwear, like sturdy sandals. 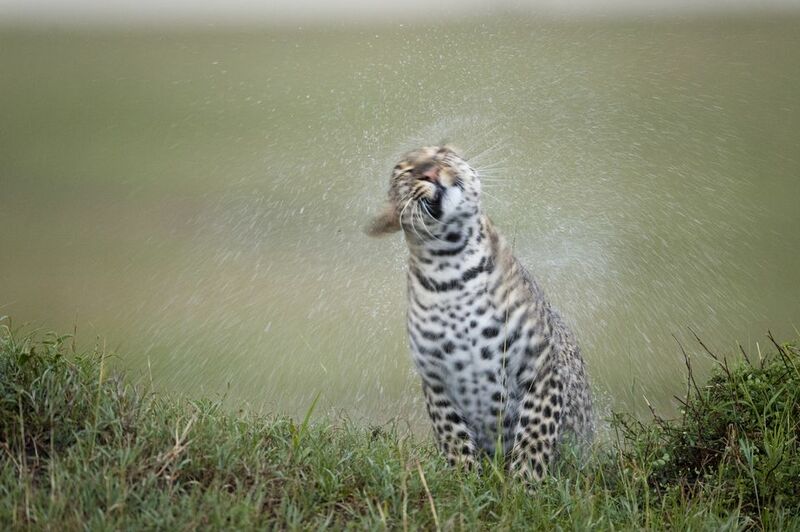 Generally speaking, the dry season is best for game-viewing in the wildlife reserves of Kenya and Tanzania. Dry season typically lasts during what is thought of as "summer" months and is defined by cloudless, sunny days. If you're planning a visit to the Serengeti or the Masai Mara, this is the time to do is, as animals are out in abundance. The weather is also cooler during the day, but it can get chilly at night. What to Pack: If you're going on safari, your packing list should include T-shirts, trousers, cotton underwear, sports bras, sunglasses, and a wide-brimmed hat. Look for fabrics that are moisture-wicking and quick-drying. You'll also save valuable packing space by bringing garments that can easily be washed and dried in your lodge.